Negativity: Not in my World. Not Now, Not Ever! 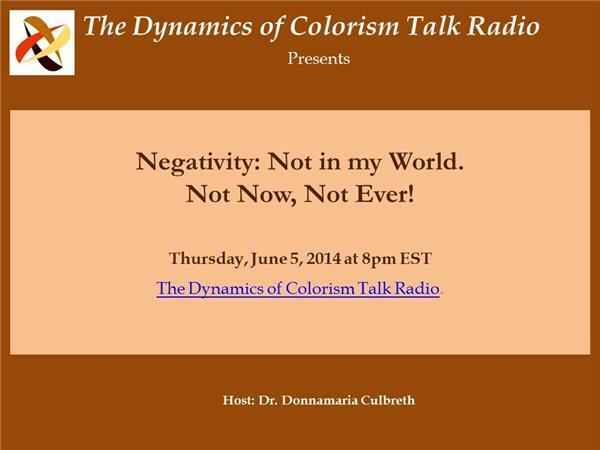 Join Dr. Culbreth for Negativity: Not in my World. Not Now, Not Ever! A commentary focusing on removing the negativity of colorism, racism, and other societal ills from your world.